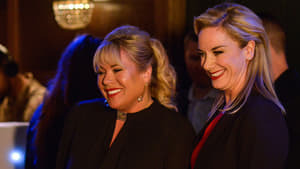 The Ahmeds adjust to their new life in Walford. Linda fears for what lies ahead. The fallout from Aidan's job continues. Questions begin to get asked of those involved in Aidan's job. Pressure is at an all-time high for those involved in Aidan's job. Whitney ponders her future in the Square. 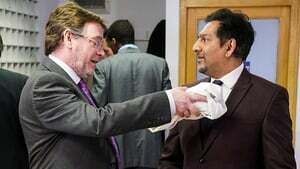 Masood proudly tells Ian about his new successful life. Karen considers her options as her family struggles to make ends meet. Tiffany's back and immediately causes mischief. Masood's day goes from bad to worse. Karen tries to secure her future for the sake of her family. 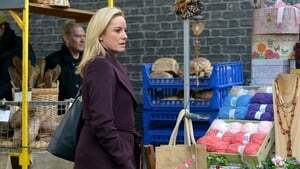 Mel Owen makes her return to Walford, but why is she back? 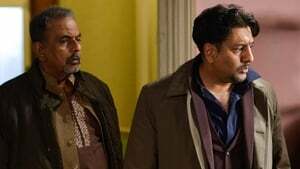 The Ahmed family is thrown into turmoil, leaving Masood feeling guilty. Whitney tries to get to the bottom of what's going on with Tiffany. 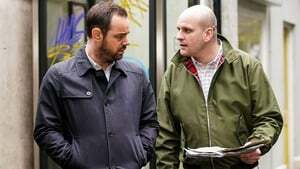 Ian takes the opportunity to continue to wind up Masood. Karen fights for the sake of her family. Max desperately searches for a way to keep his family together. Masood looks for a new venture. 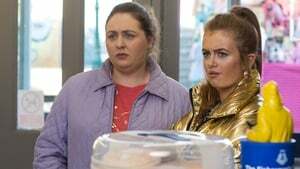 Whitney grows even more suspicious of Tiffany's behaviour. Max resorts to desperate measures. Masood digs himself a hole with Mariam and Arshad. Dot is faced with a blast from the past. With Max's world in turmoil, can anyone get through to him? Whitney looks for answers. Mel finds herself in a tricky position. One family is faced with the unthinkable changing them forever. Tiffany finds herself in a precarious situation. The men involved in Aidan's job are determined to find their money. Martin is left stunned when Stacey returns out of the blue, and Tiffany plays matchmaker for Whitney. With emotions high, the situation between Martin and Stacey escalates. Phil and Mel find themselves working together. Keegan struggles to hold it together and lands himself in hot water. 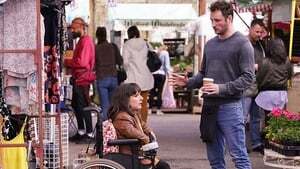 Mick and Linda are left to face a harsh reality, while Kush does his best to help Stacey and Martin. 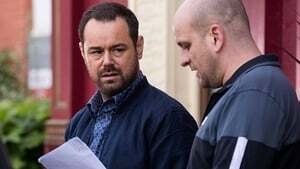 It is deadline day for the Carters and Mick does all he can to find the money he needs to save his beloved Queen Vic. Meanwhile, Stacey fights back - but will it be enough? Mel sets out on a mission for answers. Kim fears the worst about Vincent. Masood does his best to impress in his new role. Vincent finds himself at the end of Aidan's wrath. Robbie has a new business proposition for Masood. Aidan reaches the end of his tether. Kim prepares an unusual surprise for Denise's birthday. 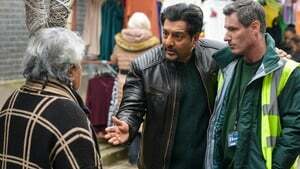 Masood finds himself lying to his family once more. 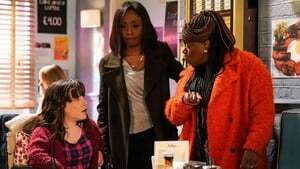 Mel tries to take advantage of Louise but is stopped by Sharon. Masood attempts to make things up to Mariam but gets more than he bargained for. Billy gets some worrying news. Mel gets closer than ever to being reunited with her son. Billy receives a surprise visitor, but what news do they bring? Things start to look up for Mel, but for how long? Karen's new business venture takes a turn for the worse. Billy struggles to accept what has happened. 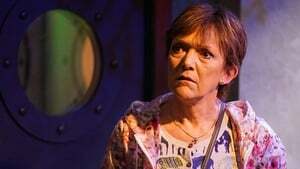 Mel is faced with a difficult situation which threatens to tear her family apart. Things go from bad to worse for Billy. Martin and Stacey attempt to stay civil. Max makes an upsetting discovery. 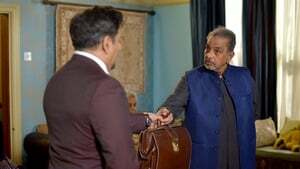 Vincent struggles with Aidan's demands, and Masood finds himself in hot water. 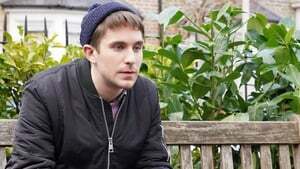 Max is left in pieces following Lauren's latest revelation. Kim attempts to solve her family's dire financial situation, and Donna puts her Valentine's Day scam into action. Max is given a stern warning, leaving him feeling hopeless. Kim gives Vincent an ultimatum and Whitney is left confused by her feelings. It's the day of Abi's funeral, but with emotions running high will everything go to plan? 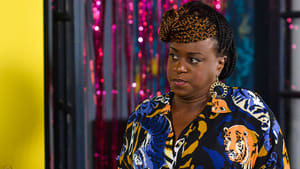 Whitney sees an opportunity and Tina encourages her to take a chance. Martin offers an olive branch to Stacey. Things fall apart for Vincent. Tina is left embarrassed by her actions. Vincent takes drastic action. 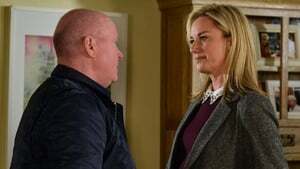 Martin is forced to come clean to Stacey about recent actions. Tina tries to fix the past but only makes matters worse. Mick is left torn as his livelihood is put under threat. Stacey is taken back by her latest discovery. Jack offers a helping hand to Mel. Linda is alarmed to hear what's going on and attempts to take back control. Billy starts a new venture. Martin defies Stacey's instructions - what will be the consequences? Hunter steps up for his mum but soon crosses the line. Linda makes a decision with dangerous consequences. Aidan gives Keanu another job. The Carters wait to feel the wrath of Aidan. Phil returns to the square but is less than impressed by what he learns. Billy is intrigued when he learns something new about Mel. The Carters reach breaking point and consider extreme action. Aidan makes his authority known. Honey offers an olive branch to Billy. Linda's nerves get the better of her. Shirley makes an attempt at trying to solve her family's dangerous situation. The war between Mick and Aidan intensifies. The Taylors are tense after Mitch's sudden arrival. Ian tries to blag a date with Mel. Patrick's fortunes take a turn for the better. Mitch continues to try and worm his way in with the Taylors. Denise attempts to get to the bottom of Patrick's mysterious behaviour. Kathy is left bewildered by Ian's behaviour. Stacey seeks answers as she struggles to come to terms with what has happened. Arshad is caught off guard by Mariam's suggestion. 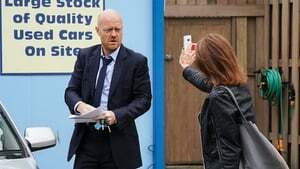 The pressure builds for the Slaters as everyone wants answers. Keegan meets up with Mitch in secret. Mitch has charmed his way back into Karen's life. Jack is the envy of the square with a brand new sports car. It is a big day for Bernie. 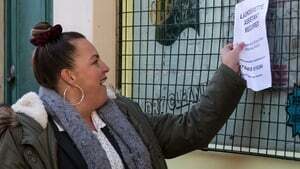 The Albert Square residents are still angry at the Slaters. 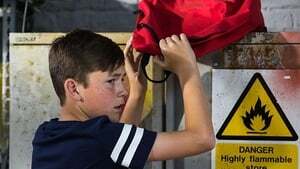 Hunter tries to stop Jack pursuing his mum. It is judgement day for the Slaters. Bernie is concerned about Ted. Kat has a new plan for the Slaters to make some money. Sharon's family lunch does not go to plan. Kat puts her plan into action. Hunter starts plotting. It's clear that all is not forgiven with the Slaters. Louise confides in Bex. It's the grand opening of E20. Jack persuades Honey to go to the opening, with surprising results. Phil is on the warpath following his discovery - can Mel get through to him? Billy receives another knockback. Bernadette tries her hardest to help Ted. Mel does all she can to protect her son. 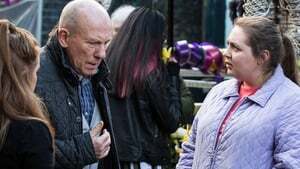 Whitney is stunned when Woody makes a surprise return to the square. Stacey is unhappy to see Hayley is back. Woody has his eyes set on a new venture. 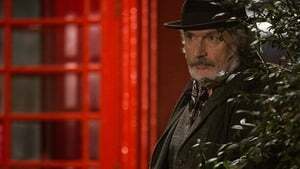 Vincent grows sick of Phil's behaviour and considers taking action. Ted is taken back by Karen's touching gesture. Tensions run high between Michelle and Mel. 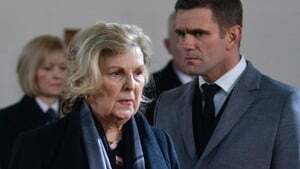 An angel investor comes to Walford. Vincent becomes increasingly desperate. Ian tries to thwart Masood's interview slot with the investor. Stacey is concerned for Kat. 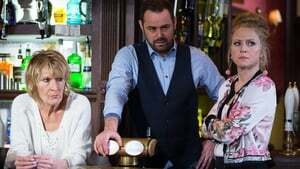 Mel invites Linda to the club for a drink. Ian's interview with the investor doesn't go to plan. Vincent makes a big decision. Arshad offers his help to a stranger but all is not as it seems. 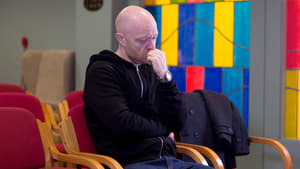 Whitney ponders Tiffany's future in Walford. 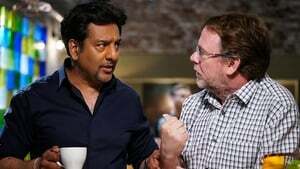 Ian continues to try to get one up on Masood. Everyone is less than pleased to see Max - but why has he returned? Arshad's suspicions are confirmed. Tiffany tries to make things up to Whitney. Arshad and Masood's worst fears come true. Tiffany is forced to contemplate her recent actions after being given a harsh reality check. Sharon offers Max some advice. The Slaters are forced to dig themselves out of another hole. Max does all he can to get his life back together. Whitney is thrilled when Halfway makes a surprise return. Phil is furious when he learns what Max is up to. Sharon tries to prove a point. Phil attempts to take control of the situation with Max. Whitney pushes Halfway to explain what is really going on. Kim puts on a brave face. The feud between Phil and Max builds. Mel meddles with Billy and Honey's relationship. Kush is back with some surprising news. Mel tries to brush of the events of the previous night. Mick has a surprise for Halfway. Kim struggles to hold things together. Martin and Jack get more than they bargained for at E20's bank holiday night. Halfway is up to something, leaving the Carters confused. A suspicious car is casing the square, leaving some residents feeling anxious. Billy gives Honey an ultimatum about their relationship. Sonia enjoys looking after Martin. Phil gives Kim some home truths. Ian and Masood plan a surprise party for Kathy. The tension between Sonia and Stacey boils over at Kathy's party. Phil digs up some dirt on Max. Hayley stirs up trouble. Halfway makes a confession. Sonia has a proposition for Martin. Martin takes a chance only to be knocked back. Carmel and Karen come to blows. Martin is left with a big decision. Stacey struggles with recent events. 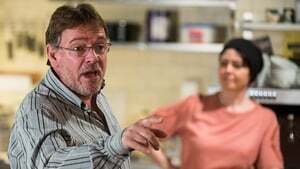 Carmel seeks revenge on Ian. Keegan finds himself in a worrying situation, leading to dangerous consequences. Hayley and Kat come to blows. Mick makes a horrifying discovery. Hayley tries to make the most of her situation. Arshad and Mariam leave Masood stunned. The events of last night leave everyone shaken. Kat attempts to get revenge on Hayley. The Kazemi family are torn apart. Kat contemplates her situation. Everyone struggles to come to terms with the recent tragedy. Mick is wracked with guilt. Jean comes up with a plan to help Kat see her kids. Karen is suspicious when Keegan goes to meet a friend. Linda organises a touching tribute for Shakil. Hayley quizzes Kat about what happened in Spain. Mel learns some worrying news about the club. Hayley gives Kat an ultimatum. Robbie plays matchmaker for Stacey. Kush tries his best to support Carmel. Mel finds herself in hot water with Phil and Sharon. Jack assists Mel with her problems at the club. Sonia gets a shock. Carmel sets her mind on a new scheme. Kim desperately tries to reach out to Vincent. 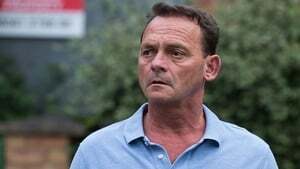 Ian offers to help Carmel with her campaign. Denise encourages Kim to report Vincent missing. Martin and Stacey find themselves in an embarrassing situation. Jack gets more than he bargains for when trying to impress Mel. Linda calls Stuart to help cheer up Mick. Kim learns new information about Vincent. Mel is convinced Jack is lying about Hunter. Mel tries to blackmail Phil. Kim is convinced Phil is hiding something. Masood prepares for an important date. Jack tries his best to change Mel's mind. Denise accidentally reveals someone else's secret. Masood gets more than he bargained for. The Slaters receive a mystery package and Hayley hatches a plan. Stuart has a suggestion for Mick, who then makes a big decision. Max and Rainie feel the pressure, while Ted is furious with the Taylors. Karen tries to explain the truth, while Halfway reveals all to Linda. Mick and Halfway get more than they bargained for. The Slaters reach a decision together, while Max and Rainie get an unexpected surprise. Stacey and Martin make a decision. Carmel has an idea to remember Shakil. Kat is back and looking for answers. Tiff reaches out to Bernie. Ian and Masood prepare for the launch. Kat makes a shocking discovery. Tiff's plan backfires. Jean gets a big surprise. Ian is on a mission. Kush breaks some difficult news to Carmel. Hayley begins her new money-making scheme. Rainie and Max struggle to keep up appearances. Max gives Rainie a reality check. Carmel continues to distract herself. Jean thwarts Hayley's new plan. Keegan and Carmel come to blows over everything that has happened. Robbie does his best to help Donna with her situation. It is the day of Shakil's funeral, and everyone prepares themselves for the emotional day ahead. Rainie is left feeling hopeless and resorts to desperate measures. Halfway learns an upsetting truth about his brother, and Martin struggles with the chaos at home. Max and Rainie get a surprise visitor. Martin puts Stacey in a difficult position, while Mick is furious to hear about Stuart's latest act. Rainie is torn over her options, while Stacey dreads the task ahead. Elsewhere, Masood grows tired of Ian's behaviour and sets him straight. Tina opens up about the past to Sonia. 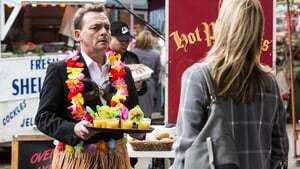 Ian remains besotted with Mel and comes up with a plan to win her over, while Martin's week goes from bad to worse. Tina struggles to deal with the past. Hayley and Mo strike a deal. 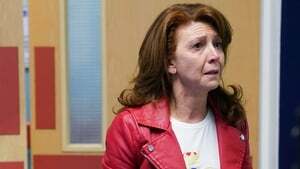 Kandice returns needing her family's help. Sonia offers Tina some support. Karen tries her best to help her sister. Hayley confides in a stranger. Mick and Linda grow concerned about Tina. Kandice's plan starts to fall apart. Hayley gets a shock and is forced to think about her actions. Mick tries to get to the bottom of what is going on. Hayley sets her mind to a new venture. Mick is left conflicted about Stuart. Kat comes up with a plan but needs Keanu's help. Jean receives a mystery delivery. Tina finds herself in danger. Jean has an idea to bring everyone together. Tina seeks help from Mick and Linda. Hayley comes to Kat's rescue. Halfway is determined to find out the truth. Kat has a surprising offer for Hayley. Hayley makes a confession. Whitney is looking for answers. Hunter continues his scheming. Jean fears for Kat and Hayley. Billy hatches a plan to help Jay. 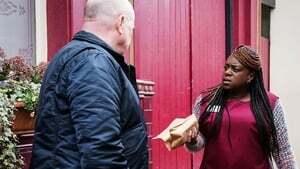 Mick and Tina get a breakthrough. Jean takes matters into her own hands. Billy makes a shock discovery. Hayley's guilt intensifies as she gets closer to the Slaters. Billy finds himself in a tricky situation. The Carters are left unnerved. Kat is desperate for Hayley's help. Keanu finds himself in an impossible situation. Halfway fears the worst. Keanu realises he is in over his head. Horrible memories surface for Keegan. The Carters remain on edge. Keegan makes his brother see sense. Tensions run high between Max and Rainie. Keanu confronts Karen about his past. Rainie revels in winding up Max. Mel starts to have doubts. Keanu is tortured by his recent actions. Rainie goes to desperate lengths to get her way. Jack gives Mel an ultimatum. Phil lectures Dennis about his behaviour. Rainie makes an admission to Max, leaving him stunned. Hayley's attention turns to someone unexpected. Sharon is horrified by her discovery. Patrick and Bernadette do all they can to help Ted. Hayley takes a chance. Ted receives a shock. Ian struggles to cope in the build-up to the launch. Billy shows no signs of giving up with his quest to win back Honey. Ted's behaviour confuses the Taylors. Ian is set on revenge. Tiffany has her sights set on someone new. Kathy makes an important decision about her future. The Taylors fear for Ted's safety. Keanu is on the receiving end of Phil's wrath. Jean ties herself in knots trying to keep Hayley's secret. Honey finds herself in an awkward situation. Hayley is livid at Jean's actions. Sharon and Phil attempt to put recent events behind them. Billy faces reality. The Carters are unnerved by a series of strange goings-on. Honey takes a chance, leaving Billy deflated. 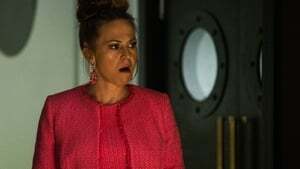 The Carters receive an unwelcome surprise. Jack makes a big decision about his future. Sharon is playing with fire. The police arrive at the Vic. Keanu makes a shocking discovery. Jack's plan backfires. The police continue their investigation. Mel finds herself in an impossible situation. Jack's day goes from bad to worse. Shocking news ripples around the square. Sharon delivers some stern advice. Suspicions are rife as a life hangs in the balance. Keanu makes a confession. Carmel receives a surprise visitor. Max admits a truth to his brother about his situation. Carmel's decision leaves Kush furious. Rainie makes a big decision. Carmel decides to face the past. Sharon hatches a plan. The Carters anxiously wait for an update on Stuart. Shirley takes matters into her own hands. Kush is enraged by Sophie's presence. Halfway reveals some alarming news. Stacey comes face to face with a blast from her past. Hayley is shocked when she receives an unwelcome visitor. Things get even worse for the Carters. 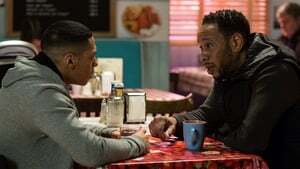 Martin is taken aback by Kush's behaviour. Hayley fears the worst. It is a race against the clock for the Carters. Carmel is on a mission to make a change. Mick is given a harsh wake-up call. Jack and Ray struggle to keep the peace. Keanu becomes determined to prove himself. Mick fears for his life. Hunter is knocked back by Ray. Sonia meddles in Bex's future. Mick gets a threat he cannot ignore. 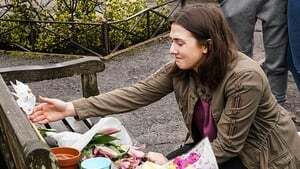 Bex continues to struggle following Shakil's death. Keanu is conflicted over an offer from Sharon. Hunter grows suspicious of Ray and makes a shocking discovery. A worrying deadline hangs over Mick. Linda tries to take control. Hunter wants to tell his mum the truth. 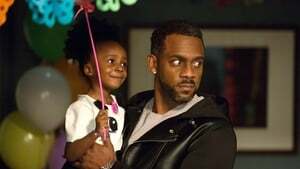 The Carters receive more bad news. Tiffany hatches a plan to get what she wants. Jack gets more suspicions of Ray. Sharon is thrown into a panic. Tiffany finally gets what she wants. Tiffany makes a shocking discovery. 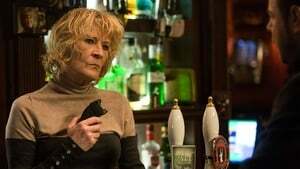 Shirley is determined to help Mick. 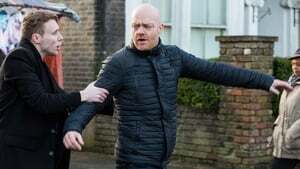 Mel confronts Ray about her suspicions. Stacey calls on Ruby to join her for a night out with Martin at the E20. Whitney gives Tiffany a strict order. Mel struggles to trust Ray. Ruby struggles to come to terms with what has happened. Mel's suspicions about Ray increase, leading to a shocking discovery. Bernadette finds herself in a tricky situation. Martin struggles with what to do. Mel makes a surprising proposition. Billy continues to meddle with Honey's love life. Hayley struggles to deal with her situation. Sharon receives some unsettling news. Kush has some surprising news for Martin. Stacey and Ruby have a heart-to-heart chat. Jean makes a shocking discovery. Sharon fears that someone knows her and Keanu's secret. Jean and Kat are concerned for Hayley. Ruby makes a big decision. Dot visits an old friend. Kat and Jean try their best to help Hayley. Louise attempts to cheer up Sharon. Martin is left in a difficult situation. Hayley gets a shock from an unexpected visitor. Linda tells Sharon some worrying news. Carmel is given a harsh reality check. Karen confronts Keanu about her discovery. Doctor Legg makes a difficult decision. Hayley is forced to think about her future. Keanu's suspicions are confirmed. Kat has her doubts about Hayley. Max gives Dot food for thought. Karen tries to distract Keanu from his troubles. Hayley makes a rash decision. Carmel reaches out to Bex. Hayley goes to desperate lengths to keep her secret. Carmel makes a decision about her future. Keegan takes matters into his own hands. Hayley finds herself in a worrying situation. Martin's plan backfires at the E20. 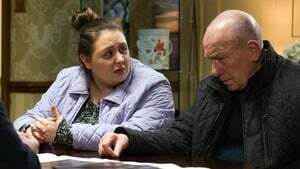 Bernadette questions Keegan's odd behaviour. 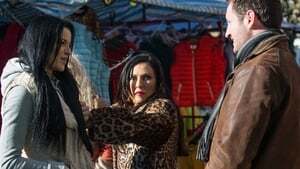 The Slaters realise Hayley is in trouble. Keegan pushes on with his plan. Martin's night out comes to a sudden end. The Slaters desperately wait for news on Hayley. Carmel takes matters into her own hands. Kat makes a desperate plea. Louise and Hunter's birthday party goes awry. Ray tries to cover his tracks. Cora drops a bombshell for Max and Rainie. 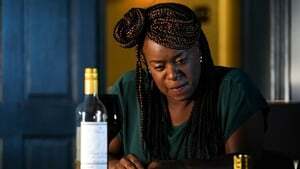 Bev manipulates Hayley into making a big decision. Karen helps Keegan face everything that has happened. Kat's world is turned upside down. Ruby receives some positive news. Mel puts her plan into action. Kat struggles to cope. Martin is left conflicted. Mel gets the information she wants. Tensions rise in The Vic amongst the residents as truths come to light. Jean is determined to make Hayley's birthday special. Kat gets a shock. Kat is floored by Alfie's return. Ian tries his best to get one up on Ray. Tiffany finds herself in an uncomfortable situation. Hayley is caught off-guard at her birthday party. Mel plays a risky game. Max and Rainie argue about baby Abi. Alfie gets a reality check. Linda feels the pressure. Tiffany digs herself deeper into a hole. 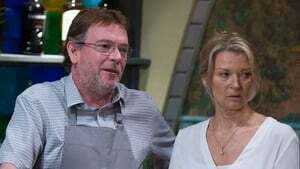 Stuart is touched by Linda's support. Tiffany is forced to question her actions. Hayley makes a decision, leaving Alfie touched. Recent events catch up with Linda as everything comes to a head. Hayley worries that her secret will be exposed, and Tiffany fears the worst. 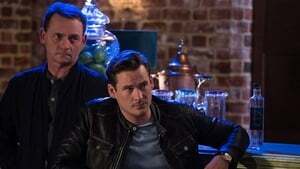 The Slaters grow concerned about Hayley, leaving Alfie on-edge. Ian steps up to the plate. Stacey makes a worrying discovery. An unwanted visitor arrives at the Slaters. Jean has some awkward news to announce. Jean gets the wrong idea. Kim and Karen prepare to outdo each other. Linda attempts to put everything that has happened behind her.